Let’s celebrate! International Trombone Week is here! ITW is officially April 7-14 but we have so much fun that we celebrate all month long. Simply share the beautiful voice of the trombone with others and you are part of it. All trombone players and their fans are welcome. Whether you do something small or big—informal or formal—simple or involved, just play your trombone for others during April. Tell us about it and we’ll be delighted to put you on our growing map of trombone gatherings. The ITA Awards committee is pleased to announce the winners of the 2019 ITA Awards. The awards are voted upon by past presidents and the current ITA advisory committee. This year’s ITA Award goes to Michael Mulcahy. The ITA Award recognizes the highest level of creative and artistic output in areas such as performance, composition, arranging, teaching, conducting, research and/or service. The winner of this year’s Neill Humfeld Award was Nathaniel Brickens. 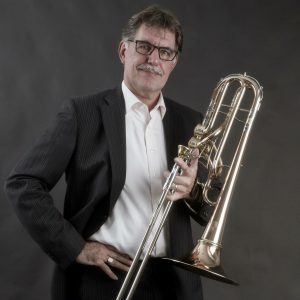 The Neill Humfeld Award is given for Excellence in Trombone Teaching recognizes the trombone teaching contributions of the late Neill Humfeld and honors living teachers who have achieved the highest level of excellence in their work. The Lifetime Achievement Award will be presented to Irvin L. Wagner. The Lifetime Achievement Award recognizes people who have distinguished themselves by their contributions to the trombone profession over a long career. The Legacy Circle Award, that recognizes individuals who have made a profound and lasting impact on the evolution of trombone playing, go to Melba Liston, Urbie Green and Bill Watrous. This years’ Presidents Award chosen by the ITA President Ben van Dijk is awarded to bass trombonist Bill Reichenbach. A new award for 2019 is the Kenneth Hanlon Award, which will go to Steve Wolfinbarger. The 2019 International Trombone Festival will occur on the campus of Ball State University in Muncie, Indiana, hosted by BSU Assistant Professor of Trombone Chris Van Hof. Located about 50 miles north of Indianapolis, Muncie is centrally located in the American Midwest and is an easy drive from major cities including Chicago, Detroit, Cleveland, Pittsburgh, St. Louis, Nashville, and Cincinnati. The ITF this year will be among the most diverse lineups yet, consisting of a wide range of musical styles, types of ensembles, and personal backgrounds of Artists. Expect world-class solo performances from Artists including Jörgen van Rijen, David Rejano, Mayumi Shimizu, and Peter Steiner. Enjoy compelling chamber music and jazz ensemble performances from Jennifer Wharton’s Bonegasm, the brass quartet The Westerlies, So Wrong It’s Right, and early music ensemble Incantare. And, being the home state of the great JJ Johnson, we are thrilled to present an homage to JJ during the Friday evening concert featuring soloists Tony Baker, Vince Gardner, Ryan Keberle, and Eliot Mason performing original J&K+6 charts as well as providing their own original takes on Johnson compositions. After offering print reviews of new material for more than forty years in the International Trombone Association Journal, we are excited to expand to the world wide web via the ITA website www.trombone.net. Expanding to the internet offers advantages and solves growing problems as media capability and expectations of readers grow and change. The volume of literature we handle has outgrown our ability to publish reviews in a timely fashion in the quarterly print journal. Our online column enables us to publish reviews within about three months of receipt. This is a great advancement that brings quality evaluation of new material much closer to its release date. Our online column is searchable by everyone, not just ITA members, introducing our instrument and its repertoire to everyone from researchers to surfers. Limits of space are always a concern in the print column. Not so online where reviewers express their evaluations and opinions free of word counts and other space saving limitations. The archives can be found under the Journal tab in the navigation menu. We are proud to present the first video in a series of posts from past International Trombone Festivals. 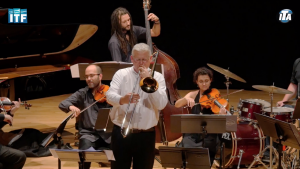 First out is Mark Nightingale’s rendition of ‘Laura’ performed at the 2015 International Trombone festival in Valencia, Spain. Don’t miss the latest addition to the What I’m Watching archives! 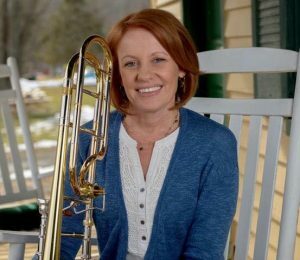 Natalie Mannix, Assistant Trombone Professor at the University of North Texas, has contributed with five personal and very inspiring YouTube videos. We hope you will enjoy it! Welcome to What I’m Watching, a brand new project based on personal YouTube video selections, chosen by prominent trombonists and educators from all over the world. 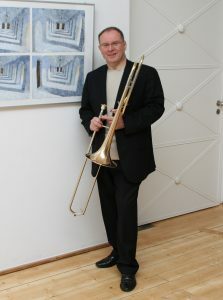 The aim of the project is to inspire, help discovering new topics and learn more about the person behind the trombone. We hope the project will be an inspiration to trombone players worldwide and new insights will be gained. The video selections will be published with regular intervals and first out is the current ITA President, Ben van Dijk, with What the President is Watching on the link below! We hope you will enjoy it! We are delighted to offer an exclusive and free 6-month trial ITA membership for all pBone users. 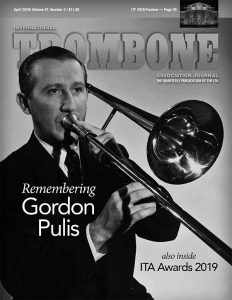 You’ll be able to browse all current and past issues of the world’s leading trombone magazine, the ITA Journal, filled with interesting articles of famous trombonists from across the globe, as well as the art of trombone playing at all levels. You will also be able to listen to our latest music streaming project with East Meets West Trombones conducted by Jay Friedman, as described below on our timeline. Plus much more! The trial membership is for e-membership only and does not include registration discount for the annual International Trombone Festival or the ITA Solo & Ensemble Competition, inclusion in any CD/DVD project mailing, and voting rights in any ITA nomination or election process. Only applicable once per person. Existing ITA members are ineligible.